The healthcare group of the main TSX was the largest drag on the index Wednesday, closing 1.74 per cent lower as Valeant slumped 6 per cent on news that it was struggling to sell assets and raise cash. Energy and financials were also among the declining sectors with telecoms, materials and consumer concessionary rising. Wall Street was also lower following the release of Fed minutes revealing plans to cut its balance sheet this year. 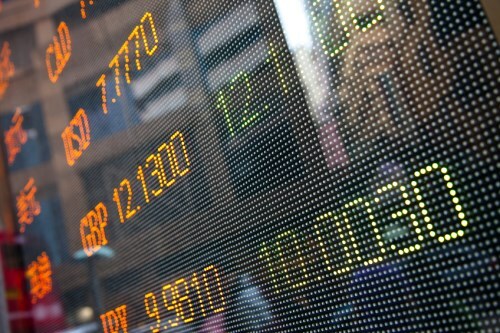 European markets closed mostly lower while Asian indexes gained. Consumers are being warned about firms which claim to help them pay off debt or repair their credit. The Financial Consumer Agency of Canada said Wednesday that some of the companies mislead customers by promising fast solutions and other claims which sometimes leave debtors worse off. Home prices in Toronto show now sign of easing with the Toronto Real Estate Board reporting a 33 per cent surge in the GTA’s average sales price in March compared to a year earlier. Sales increased too, up 17.7 per cent year-over-year. The price rise takes the average sales price in the GTA to $916,567. Wednesday brought a new exchanged traded fund to the Toronto Stock Exchange in what is claimed as a world first. The Horizons Medical Marijuana Life Sciences ETF brings together several marijuana-focused stocks including producers of legal and licensed pot growers. It opened at $10.11 and had increased to $10.24 midway through the session. What major trends are influencing ESG investors?